Irene was retired from the official list of Atlantic Basin tropical storm names by the World Meteorological Organization&apos;s hurricane committee because of the fatalities and damage it caused in August 2011 and will be replaced by Irma. Storm names are reused every six years for both the Atlantic Basin and eastern North Pacific Basin unless they are retired for causing a considerable amount of casualties or damage. Irene is the 76th name to be retired from the Atlantic list since 1954. Irene became a hurricane on Aug. 22 and intensified to a Category 3 hurricane on Aug. 24 while centered between Mayaguana and Grand Inagua in the Bahamas. It gradually weakened after crossing the Bahamas, making landfall in North Carolina on Aug. 27 as a Category 1 hurricane. 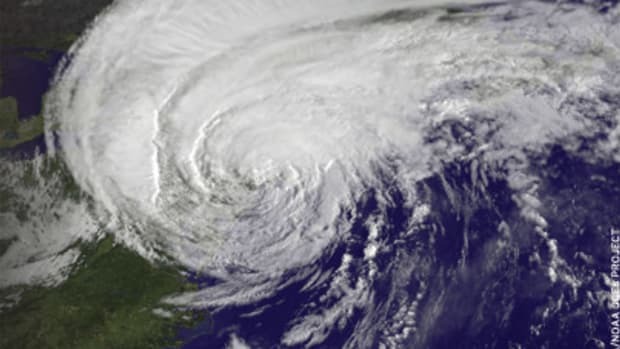 Irene made another landfall the next day as a tropical storm very near Atlantic City, N.J. The center moved over Coney Island and Manhattan, N.Y., the same day. The most severe impact of Irene was catastrophic inland flooding in New Jersey, Massachusetts and Vermont. Irene was directly responsible for 49 deaths: five in the Dominican Republic, three in Haiti and 41 in the United States.